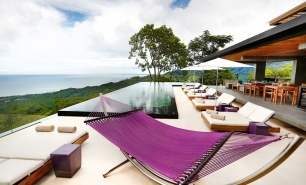 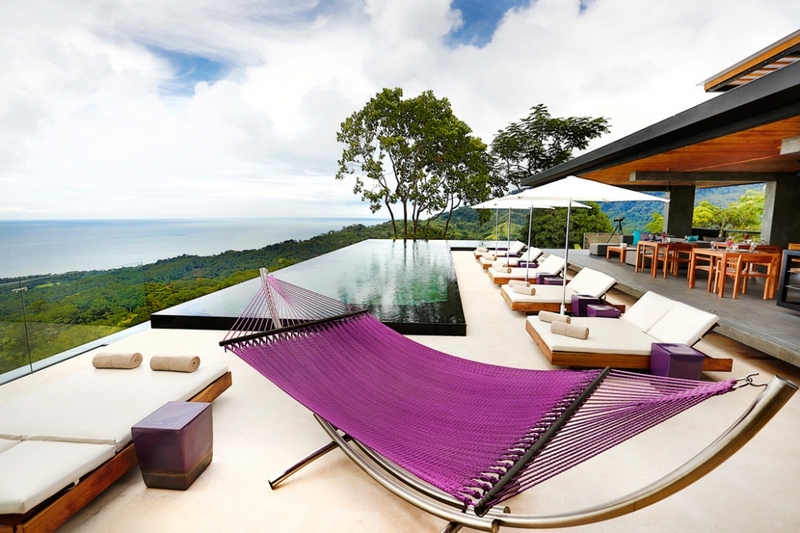 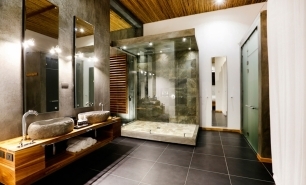 Kura Design Villas opened in January 2013 and is a beautiful villa and suite resort in Uvita de Osa, located on the picturesque Pacific Ocean coast near Ballena Marine National Park in southern Costa Rica. 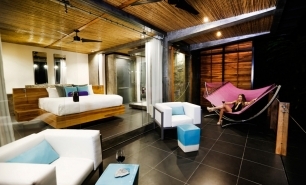 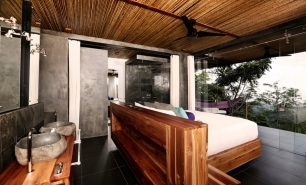 Uvita and its three surfing beaches (including the world famous Dominical) are within 15-minutes' drive of the resort. 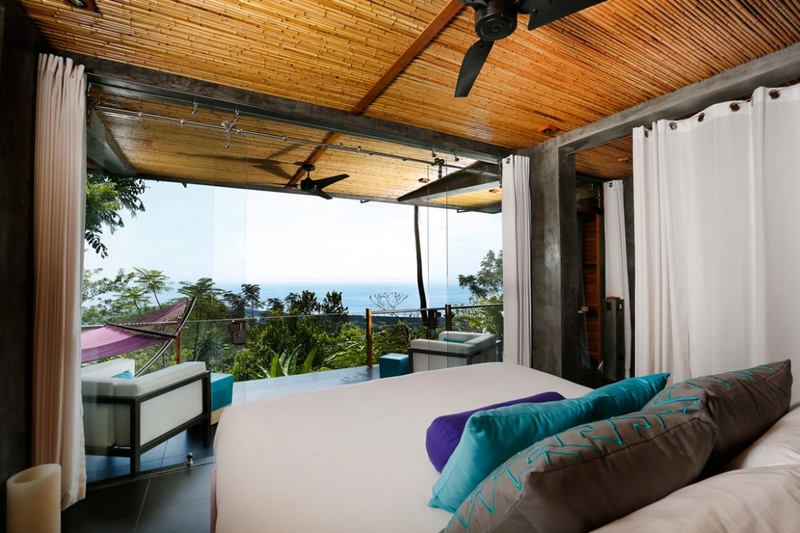 The nature and wildlife is spectacular, with the morning wake-up call courtesy of the resort’s very own “resident” toucans, congo monkeys, and parrots. 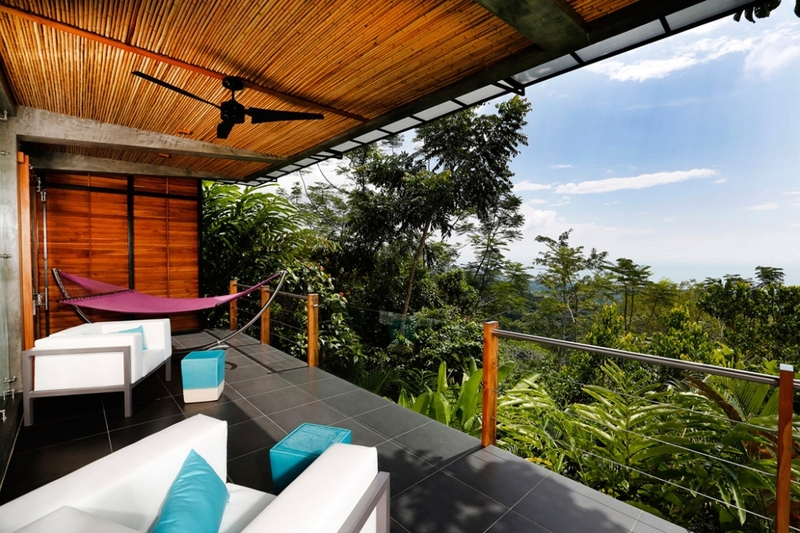 Kura is a great place to relax and watch the wildlife from the suite’s terrace, enjoy walks in the coastal rainforest, watch humpback whales (from December to April), snorkel alongside dolphins and sea turtles in the nearby Caño Island Biological Reserve, or visit the lush and beautiful national parks around the Ballena area including Manuel Antonio and Corcovado National Park, which are two of the most diverse national parks in the world. 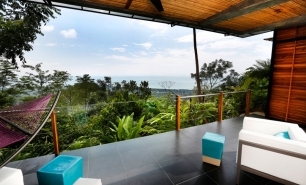 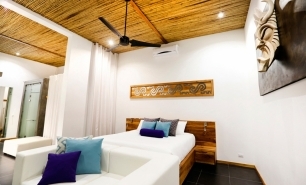 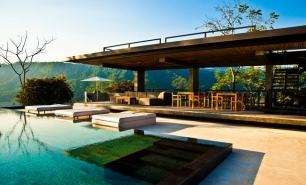 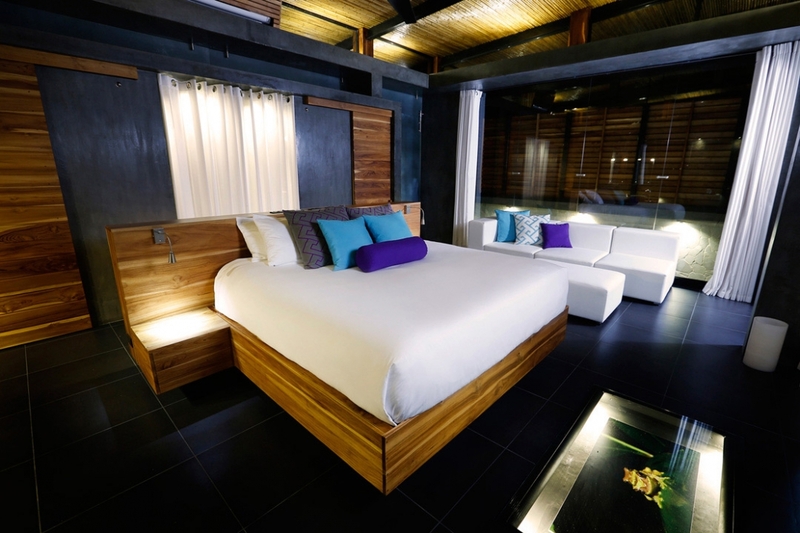 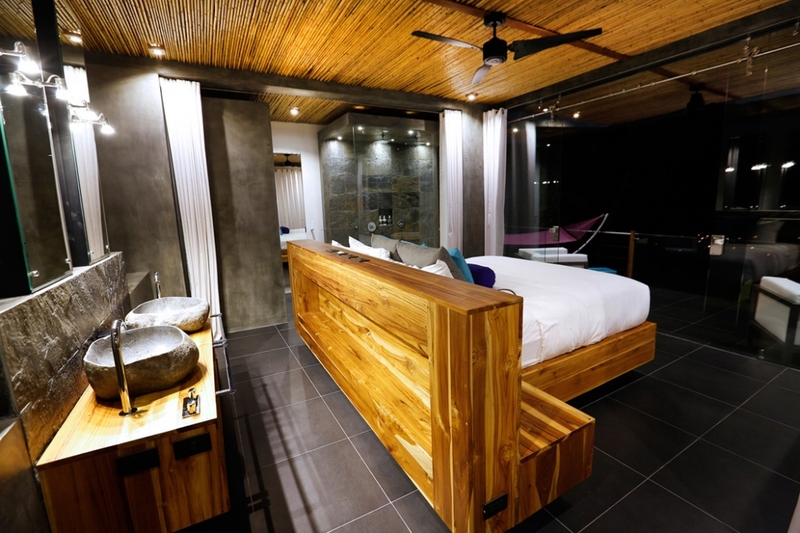 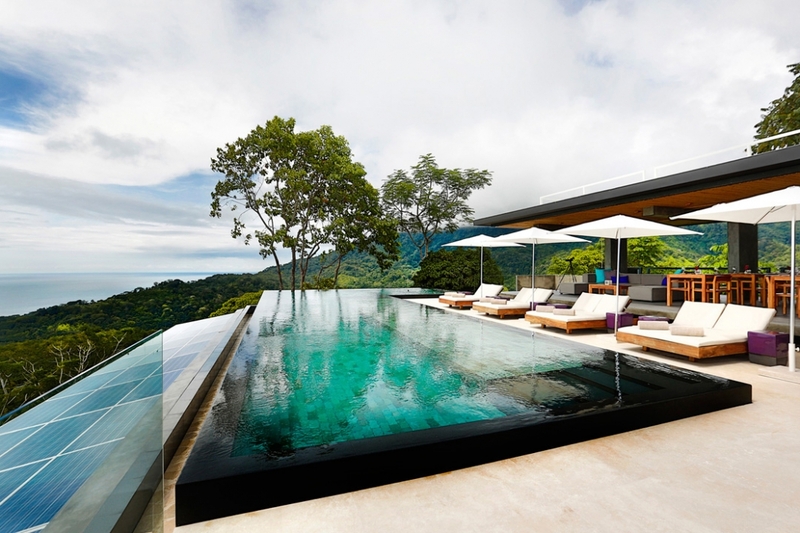 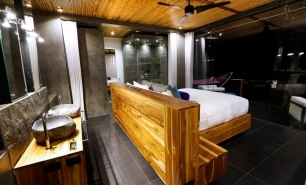 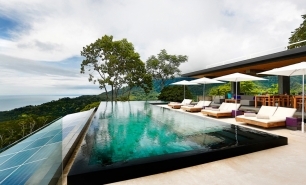 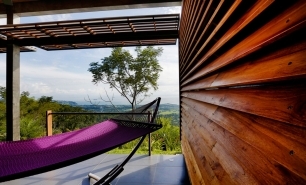 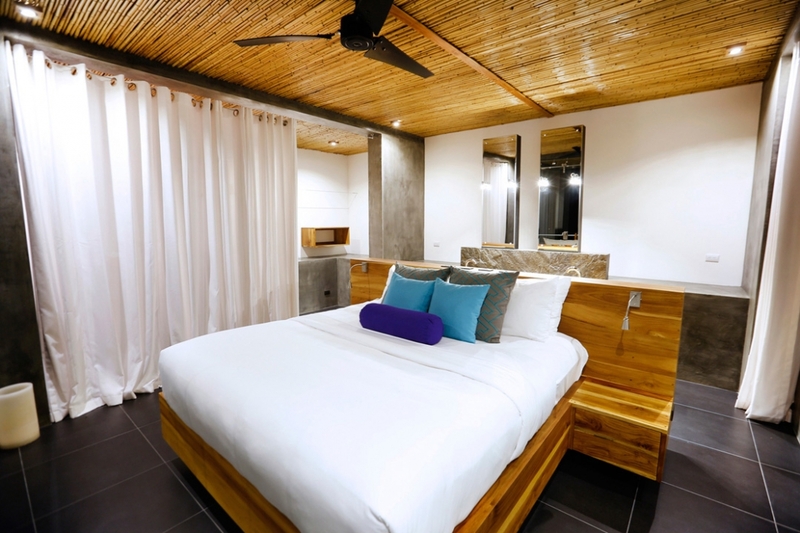 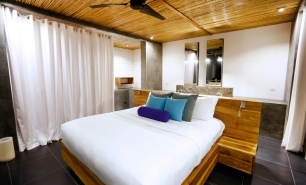 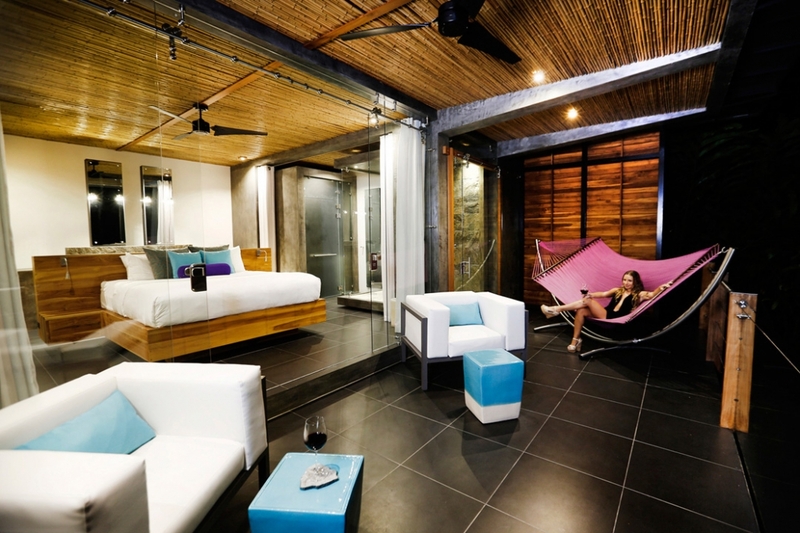 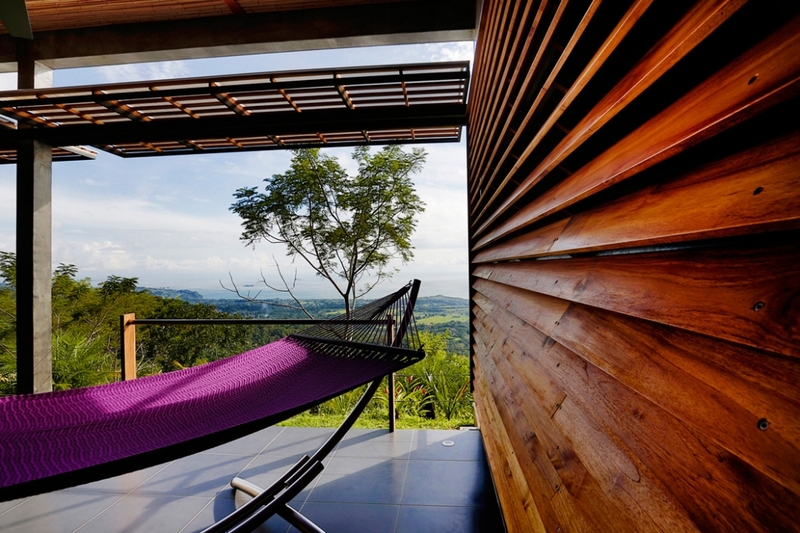 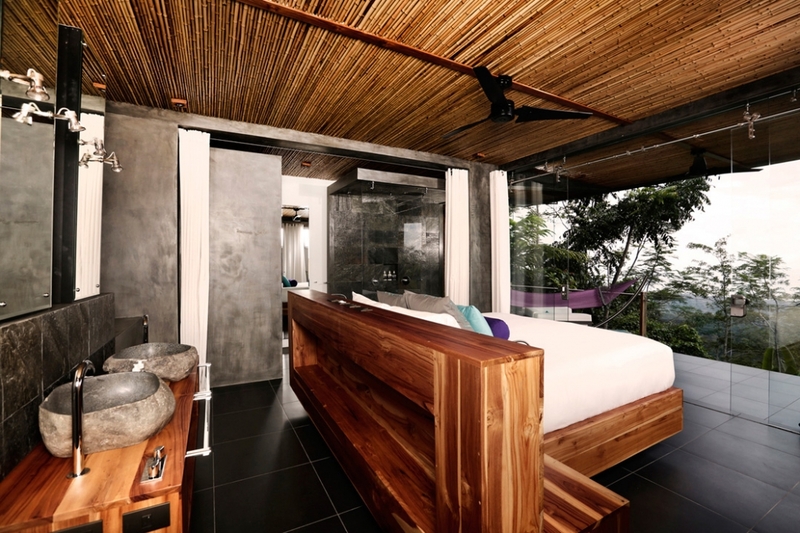 The hotel is designed by Martin Wells, a Costa Rican architect and the owner of the resort, using a modern and minimalist style, and is barely visible from the coast. The spacious suites (75sqm to 88sqm) have vast decks (although they lack pools) and offer great views of the rain forest and the Ocean. 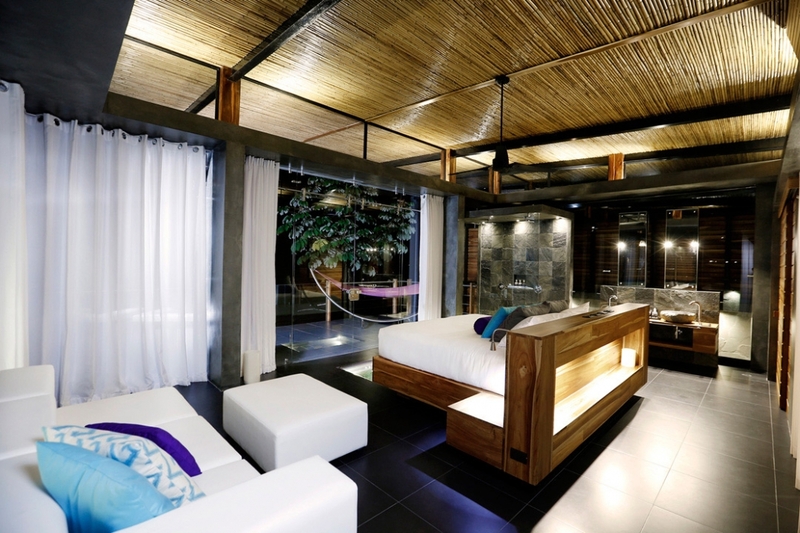 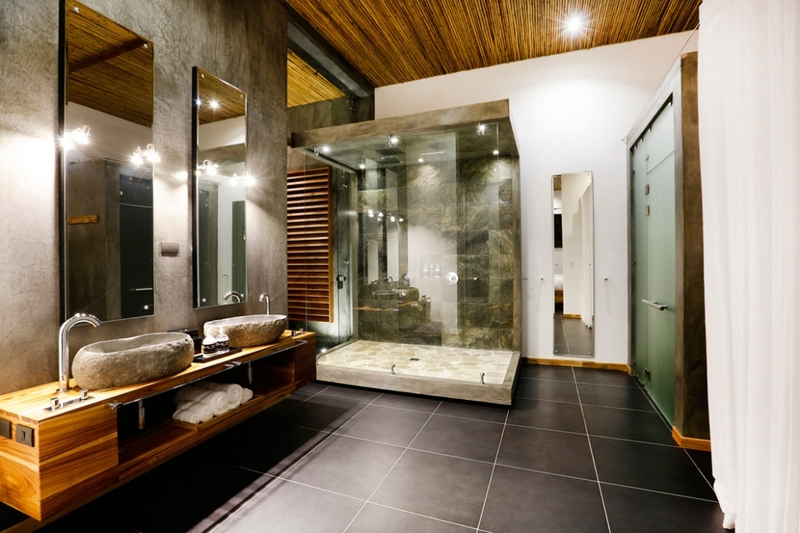 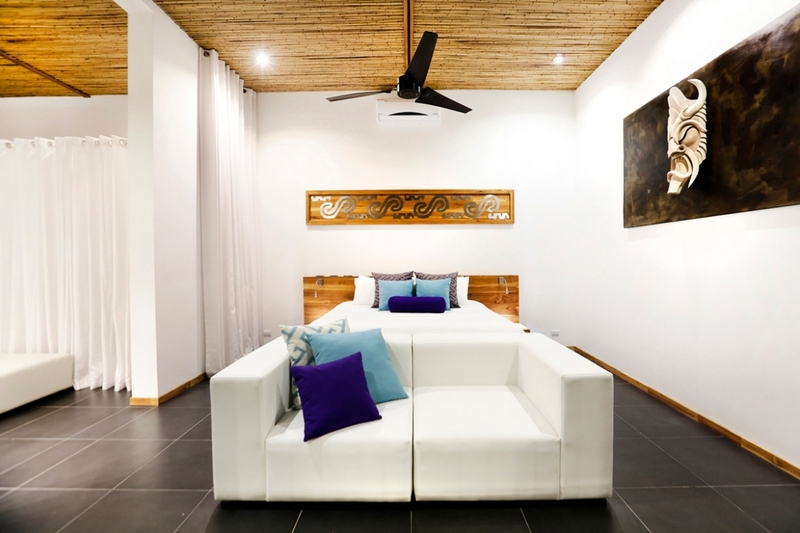 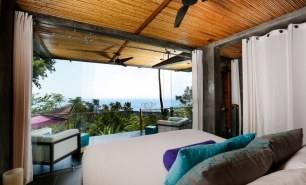 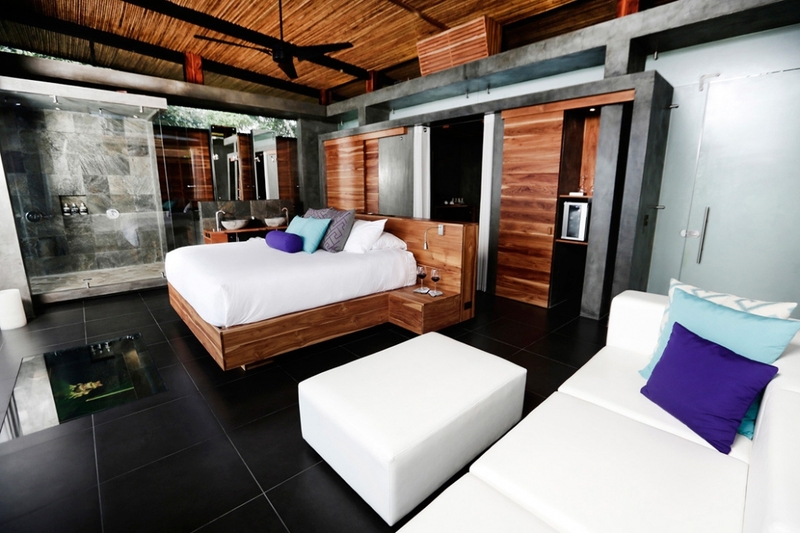 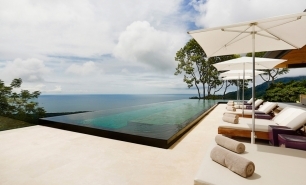 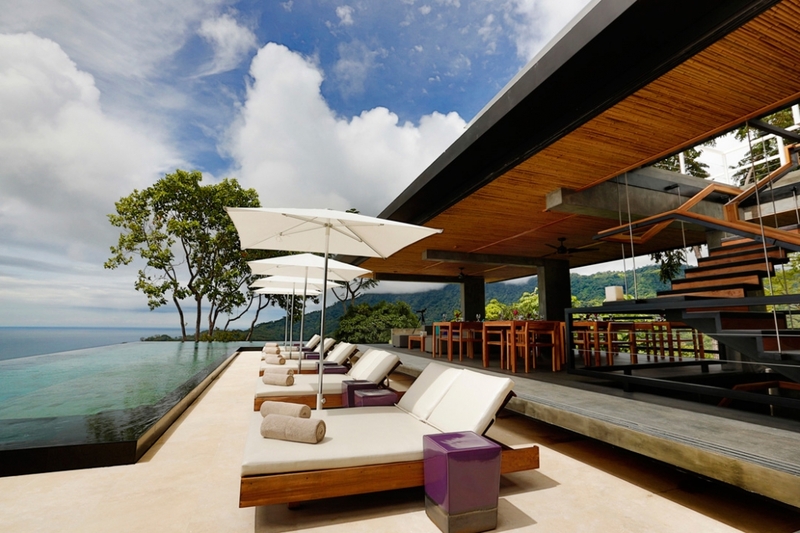 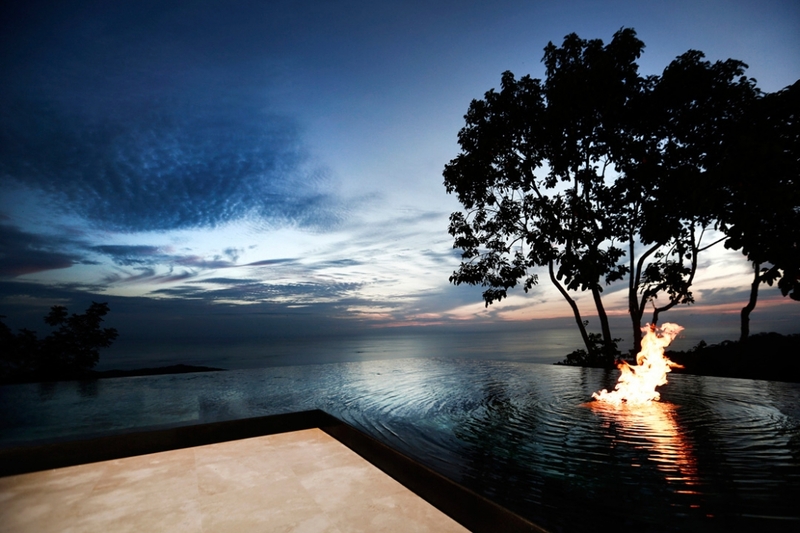 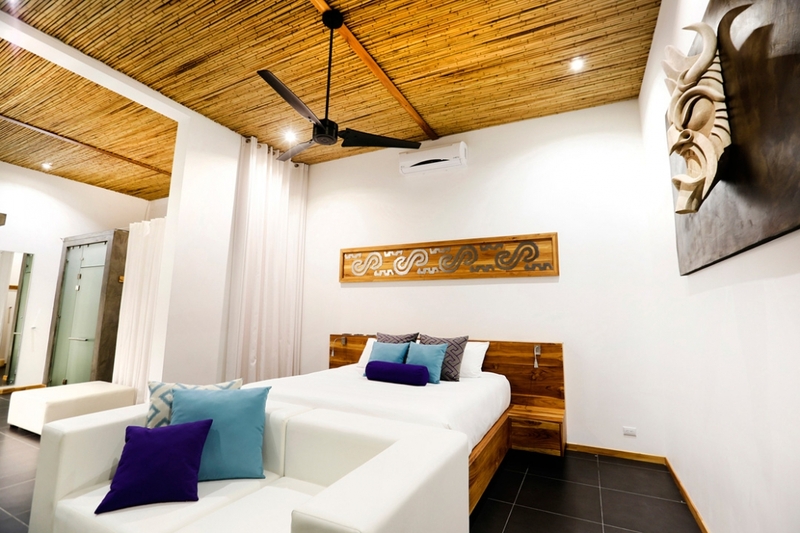 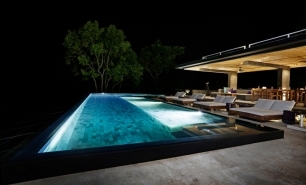 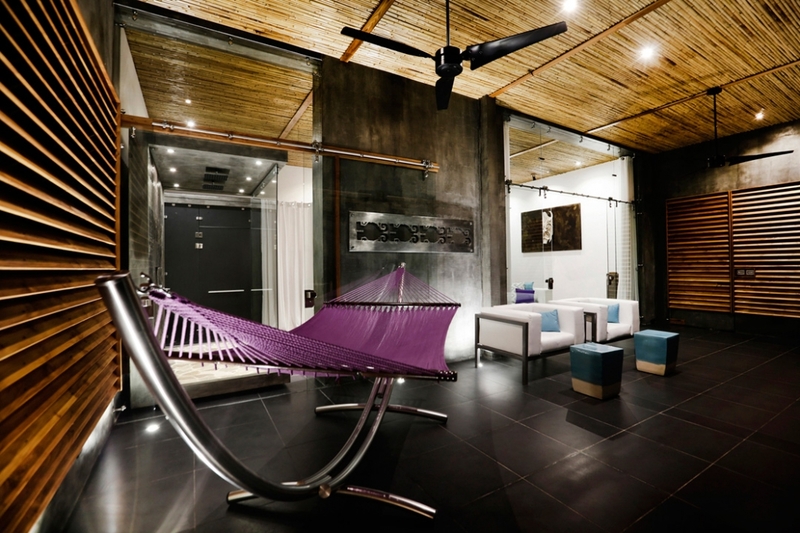 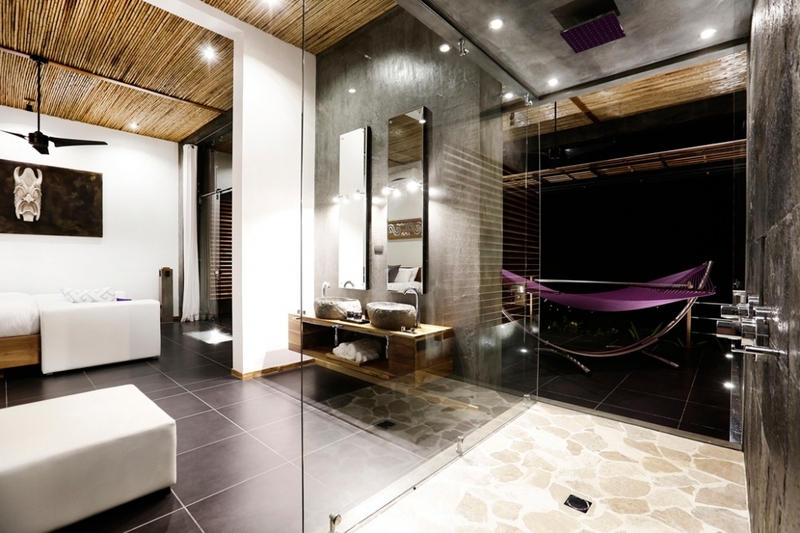 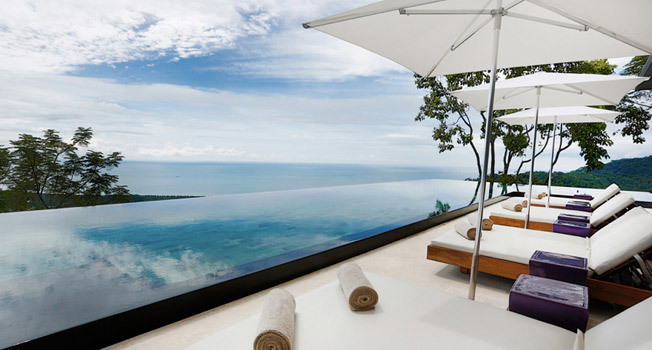 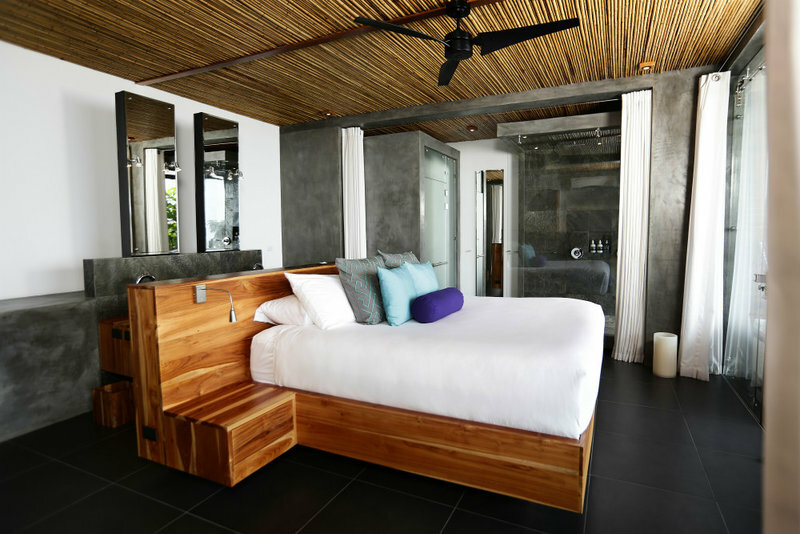 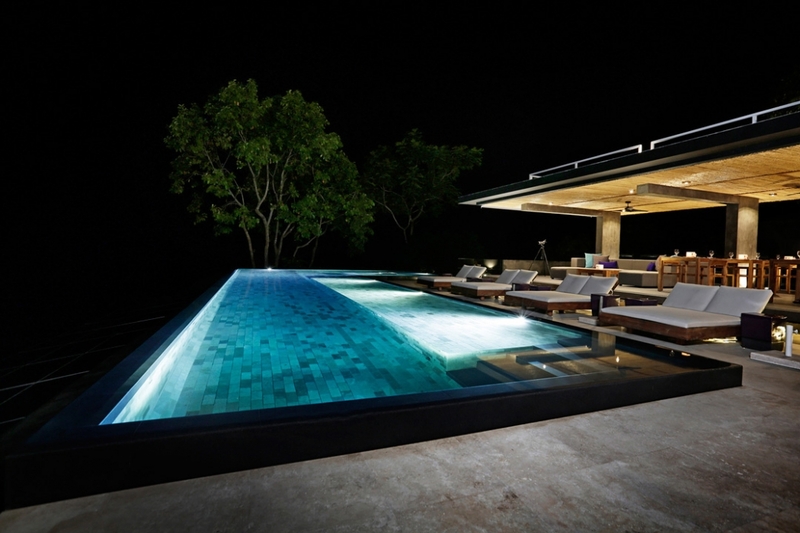 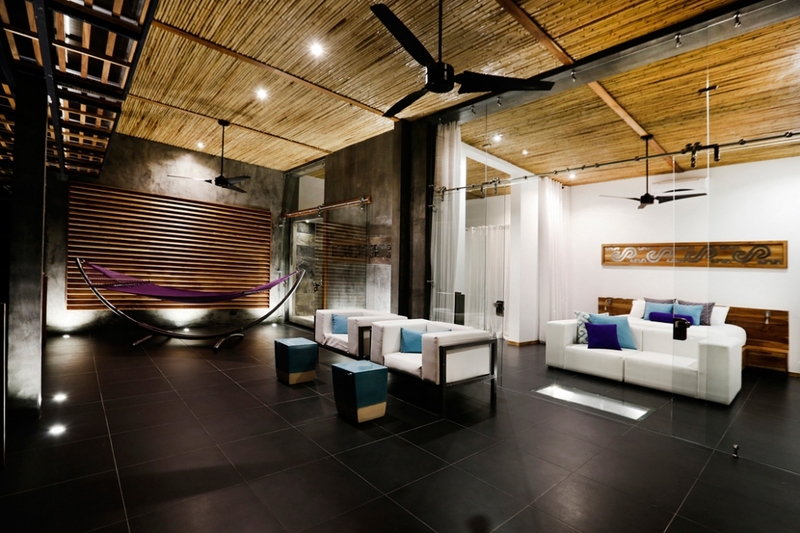 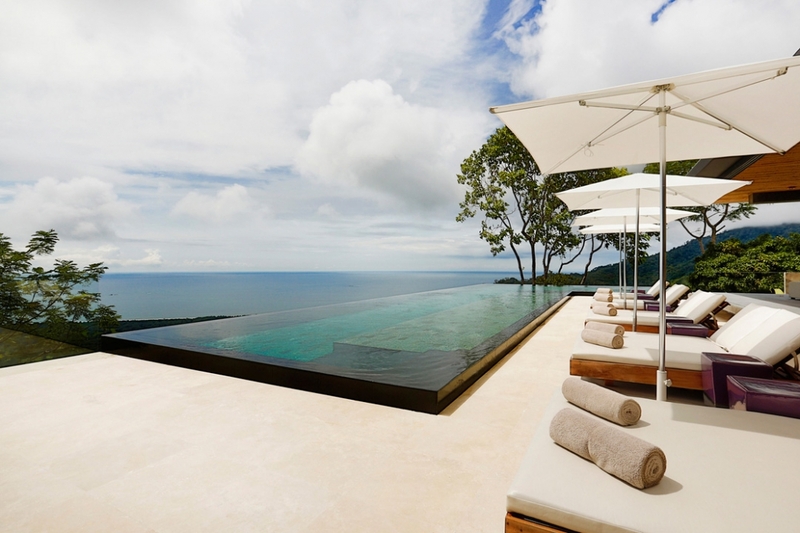 The two Infinity Villas have four-meter high ceilings and an extra wide terrace. 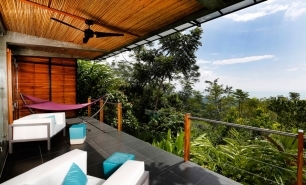 The vast terraces of the lower leveled Junior Suite Villas are best for bird-watching. 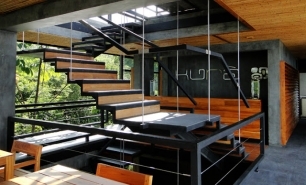 Kurà’s restaurant serves breakfast, lunch, and dinner, and offers Costa Rican fusion menus. 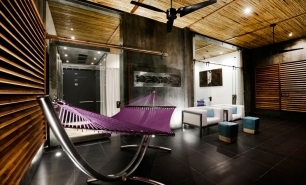 At Kurà's Diablitos bar, the owners prepare local style drinks and cocktails. 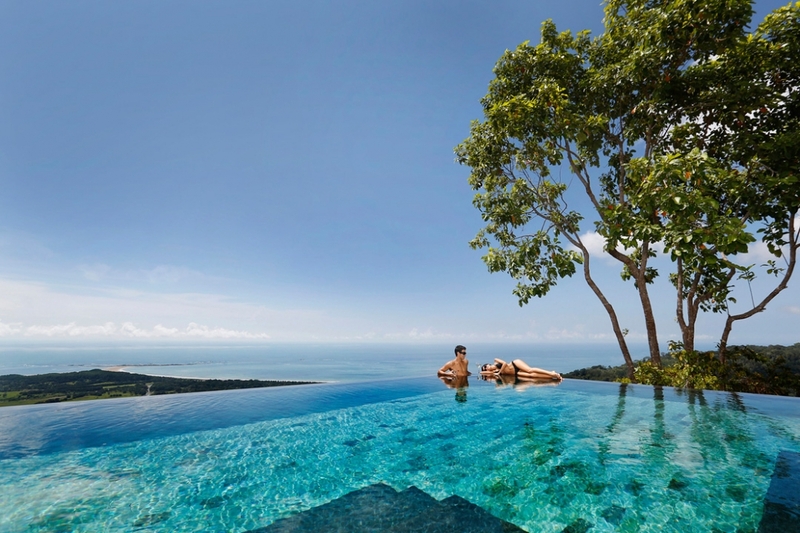 There is a beautiful infinity salt water pool, spectacular outdoor poolside lounge, a small spa area, and a roof top sky lounge; it offers 360 degree views of the jungle and ocean during the day, and picturesque sunsets in the evenings. 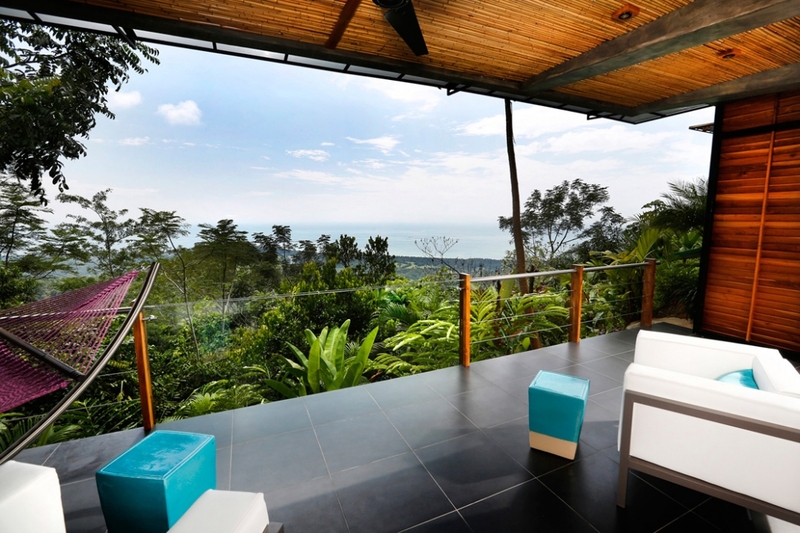 December and January are best months to visit when the vegetation is lush and the skies are clear. 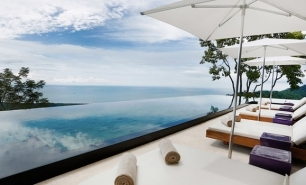 The dry season lasts from mid-November to April. 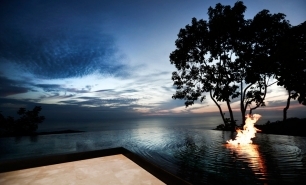 May to mid-November is the rainy season.